A very brave look at Hollywood when Hollywood was bullied by an absurd censorship. Usually, Cinema is considered as the most delicate form of art because it has the biggest potential to become 'dated' one day. Once a movie thought as 'mind-blowing' can easily become a 'turkey' a decade later. This is not the case here. 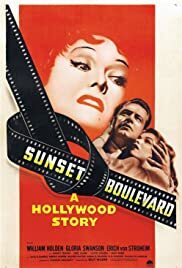 Sunset Boulevard still remains as one of the most eerie film in the cinema history and still a realistic depiction because of its reflection of Hollywood. It can give you the idea of the dream land's transformation into a nightmare. The film is about a troubled script writer 'Joe Gillis and a forgotten silent film star Norma Desmond's weird relationship and the madness that surrounds them and the people around them. Don't wanna give much of the plot, on account the fact that it is a pure gem that should be invented without knowing nothing. But I can talk about the cinematic aspects of this movie. This movie has some very eerie moments because of using a great cinematography. The moments of burying the dead monkey and watching the old film of Norma Desmond are exquisitely presented. The movie has some one of the most innovative scripts of cinema and that is certainly justified by the unforgetable and memorable lines captured from the film. The directing is top-notch but who are we kidding it is Billy 'the great' Wilder. The end of the movie is one of the most chilling part of the movie and it can truly give you some nightmares about insanity. The narration of the movie by the head character was probably done by this movie at the first place and this influenced so many movies afterwards. One of the reasons that this movie is still not dated is because of its courage. The Hayes code was at its peak at the beginning of fifties which manipulates the producers to limit their bad thoughts on one subject, especially on Hollywood. The movie got 11 oscar nomination but only got 3 of them. Apparently, the reason was its harsh criticism on Hollywood. 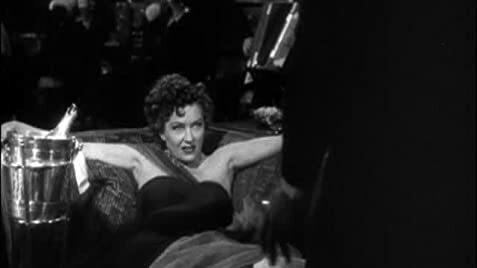 There are some arguements about Sunset Boulevard's genre. It is considered as the greatest film-noir of all time. I don't think it is a film-noir at all. For some aspects, the movie has some noirish elements such as the black and white German-expressionist cinematography and an 'on the edge of insanity', femme-fatale but these two are not enough to make a film-noir. I think this is a psyhcological drama with some horror(the end is horrifying for me) and with some very very dark comedy.